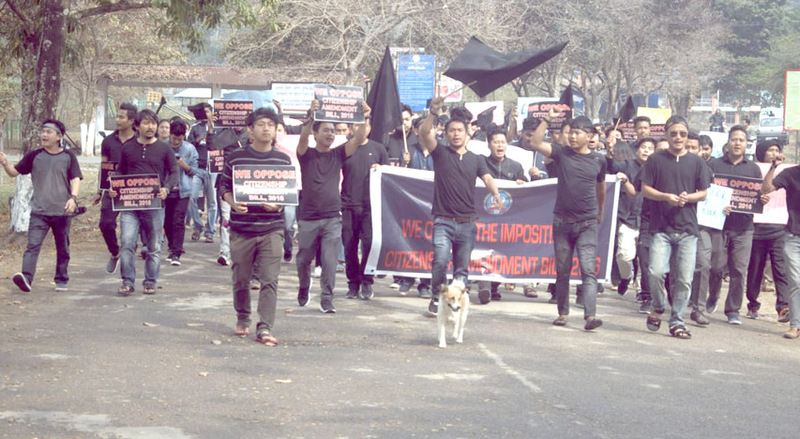 ITANAGAR, Feb 9: While Prime Minister Narendra Modi was inaugurating and laying foundations of projects in the state at IG Park here on Saturday, the Arunachal Pradesh Congress Committee (APCC) and students of Rajiv Gandhi University (RGU), the North Eastern Regional Institute of Science & Technology (NERIST) and the Himalayan University (HU) staged protests in different locations of the capital complex, denouncing the citizenship amendment bill (CAB). Members of the APCC released black balloons as a mark of protest and took out a rally towards the park in hopes that it would draw the attention of the prime minister. But they were stopped near the civil secretariat area by security forces. Coming down on the prime minister and the BJP, the APCC demanded that the CAB be scraped immediately. “The APCC will never allow the CAB to be imposed in the state and will fight till it is withdrawn,” APCC spokesperson Toko Mina said. The group of protestors attempted to run over the police barricade and engaged in a minor tussle, disrupting traffic movement till around 11 am. The rally also led to an ambulance carrying a patient getting stuck for nearly 30 minutes. Later, addressing a press conference, members of the APCC apologized for the inconvenience caused, and thanked the public for their cooperation. Students of RGU, the NERIST and the HU also staged protests in their respective campuses against the CAB. The students burned Modi’s effigies at all three institutions. The agitating students wore black, raised black flags, and shouted anti-Modi and anti-BJP slogans in protest against the controversial bill. “For the sake of vote-bank politics we should not be made the sacrificial goat. The BJP leaders at the centre must remember that there is an India beyond Kolkata also,” Dai said. 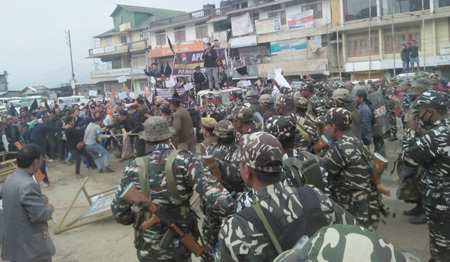 Demanding scrapping of the CAB, he warned the central government that bulldozing the bill (through the Rajya Sabha) would foment more trouble in the northeastern region, and that the AAPSU and the North East Students’ Organisation (NESO) would not remain silent if the bill is passed. “Despite the entire NE uniting against the bill, the central government has no concern for the indigenous peoples’ voice, and amidst that, PM Modi in his speech today didn’t even care to mention the bill,” Dai added. NESO coordinator Pritam Waii Sonam said 12 February would be a “D-Day” for Northeast India. “The unrest will grow even larger if the bill is passed in the upper house,” he warned. “We do not want to be a minority in our own land,” he said. “We want to send a very strong message to PM Modi that this country is not a Hindu, Muslim, Christian or any other religion’s country but a nation for Indians. 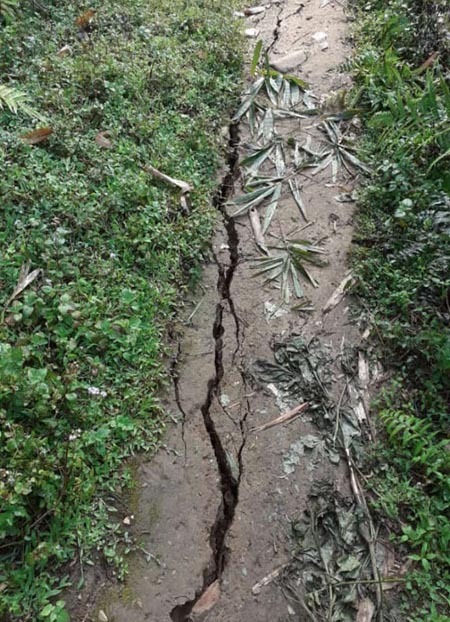 And it is the responsibility of the government to address our demand and prioritize us more than illegal refugees and foreigners,” Students’ Union of NERIST general secretary Kyagung Dafri said.